Just over a year ago, I got an email - totally out of the blue from the incomparable Mrs Deanna Jump. She invited me to join a team of incredible teacher bloggers over at Blog Hoppin'. What an honour! I still pinch myself and feel so lucky to get to be a part of such a quality collaborative blog. 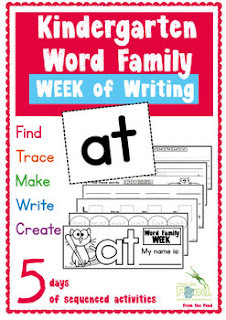 You can join in on the Blog Hoppin' fun by linking up with our teacher week blog posts this week. My invitation to join in with Deanna and the girls could very easily have never happened. Like so many other teachers traversing this online edu-blogosphere I let things get to me at times. And I have even been on the verge of giving it all away. Several times. Which brings me to #1 of my 5 fun facts. I've had this passage pinned on my noticeboard for the best part of a decade. Do I think of myself a winner? No, not really. But I want to be. I keep working hard. I try to imagine the road ahead of me and I try to stick to it. If I get sidetracked, I take a little detour and get right back to it. My road has been a long and hard one at times but I keep moving and I keep making progress. I promise you, if you want something it will eventually be yours if you just keep doing your thing. Make your pathway easier by being yourself - don't let things people say or the attitudes of others change your vision. I just read Sheri's post and found out that she is terrified of birds. Girl, I am right there with you. These are two ceramic birds that my dad has glued to his veranda (not going to get into that one right now, that will take a whole other post to cover). This is about as close as I want to get. And these ones don't even move. To make it even more interesting, I am OK with white birds, yellow birds, blue birds and most native Australian birds. I can hardly type the word chicken. Or pigeon. You may know that already. Here are my sketch books since 2012. I used to sit and watch my dad draw and ask him to draw all sorts of things for me. It used to both fascinate and frustrate me that he never needed to sketch, he would just start drawing and get it perfect right away. 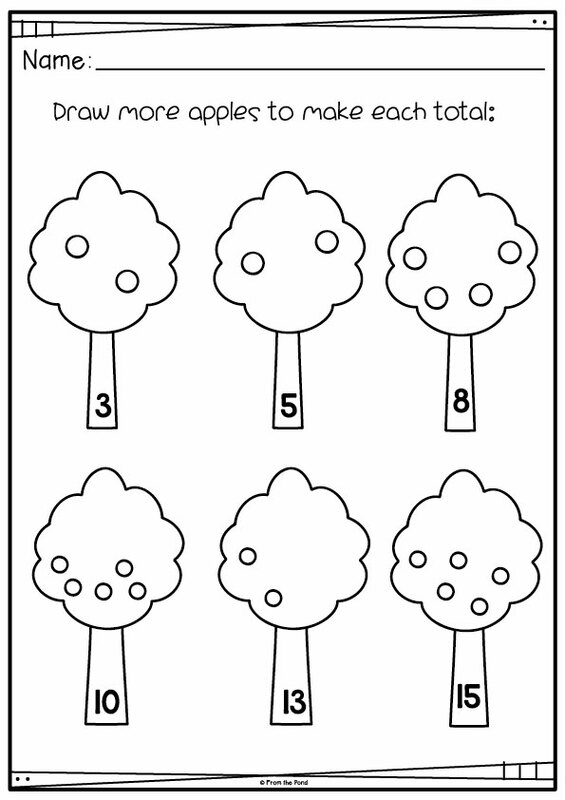 Here is a page from my first grade homework. I had to draw things that started with 'p' - we worked on it together and he did the parrot and pelican for me. I live near the biggest saltwater lake in the southern hemisphere. I spent a lot of time on the lake as a child, as my dad loved boats of all sorts. So much so, that if I never go boating ever again, I think I would be just fine. How did I learn to sit and concentrate for hours at a time? Try spending a whole weekend on a 6-meter sailboat with only a small bag of quiet toys for entertainment! They were wonderful days full of laughter, sunshine and saltwater. I would not trade them for the world. This photo is of the two men in my life - my husband and beautiful boy Sam. I am so fortunate to be able to teach in a part-time capacity. Our school department has a policy for teacher mothers to take part time leave from their permanent teaching position to care for their children, until the youngest is at school. Our status, career development and permanency is to remain intact, we just take a number of days 'leave' away from it and another teacher is employed to cover the days you are at home. This is my yard (playground we call it) duty. The beach is nearby, so a gentle sea breeze carries across the yard most of the day. The playground is very peaceful and the children have an amazing amount of space to run and enjoy the sunshine. I felt at home immediately after arriving at this school and I treasure it. Not only is September 1st the first day of Spring in Australia, but it is also Wattle Day. If you are an Aussie, and you have not heard about Wattle Day, I suggest you find out. It is kind of a big deal. Well, I made that bit up. It has come to my attention, that despite being a 'day' for the last 100 years or so, it's all new to some folk. It was a big deal when I was at school. Not 100 years ago - but almost. My teachers were "old school" and we did oodles and bazoogles of Australian history. Just ask me to recite My Country and I will have you weeping. I may or may not have also had a hand crafted wattle necklace made of Fimo polymer clay. This year I have created an easy-to-prep addition game to help encourage you to at least mention it to your students. They can play in pairs using a paperclip and pencil to spin and by also rolling a standard six sided die. 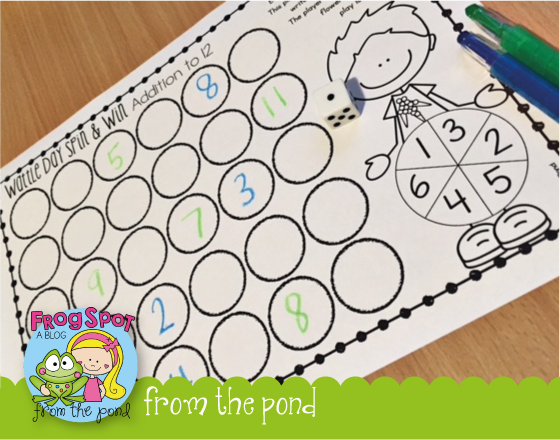 They need to find the total of the two numbers and write them in a wattle flower to claim a space on the worksheet-gameboard. Have a great end to the weekend friends! I'm off to find my sprig of wattle. 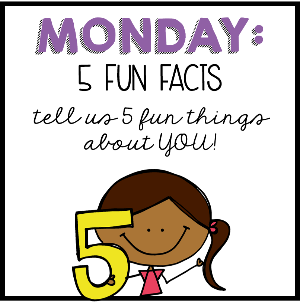 Five for Friday fun time! As much as we love to be in the classroom, is there any better feeling that packing the teacher bag up to head home on a Friday afternoon? My new bundles each include 5 math activities to help supplement your existing mathematics program. These bundles truly represent how I got started on this journey to begin with. I was always looking for high quality, motivating small-group activities to work alongside my program in the classroom. 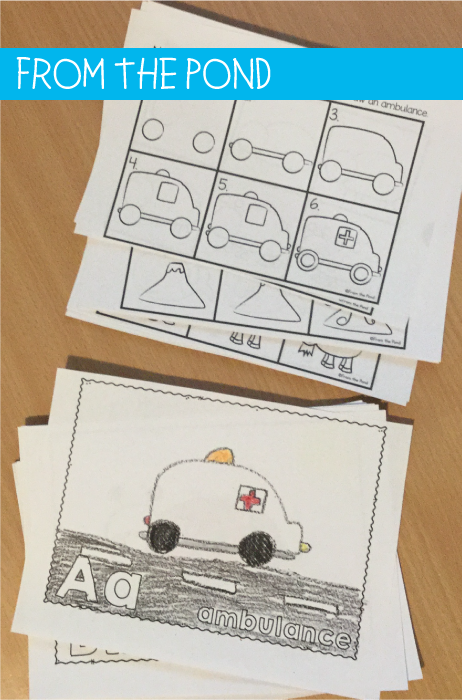 Having taught the lower grades for 15 years now, I have used many different 'big picture' programs. All of them in essence, have a very similar structure of skill development. I want my bundles to be of good value to teachers - hopefully fitting in with any program you use now or in the future. They will be sequenced and structured to give you a good basis for your learning plans, but flexible enough to fit with your changing classroom program. These bundles include 5 printable activities that all work towards a similar learning target. I have called them 'activities'. Again, over time I have heard this style of learning instruction called so many different names. 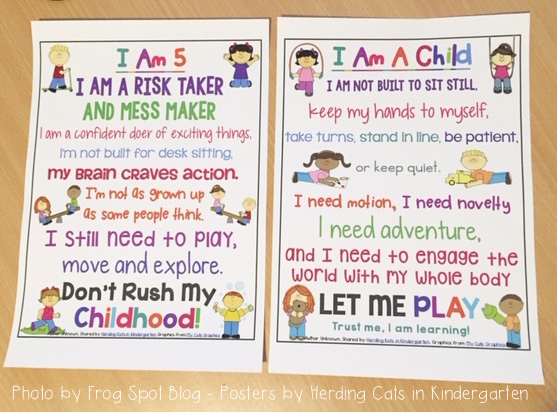 My aim is to develop these printables in a way so that they can be easily adapted and used in any slight variation of this learning situation. Essentially, it is a small group of children sitting down together and working with a concentrated, specific identified learning focus. Call them centers, small groups, guided math or rotations. The similarity is that students are being active with the learning, they are 'doing' and they are working alongside or with other students. The goal is for students to be working on an identified skill that will bridge their learning to the next level. 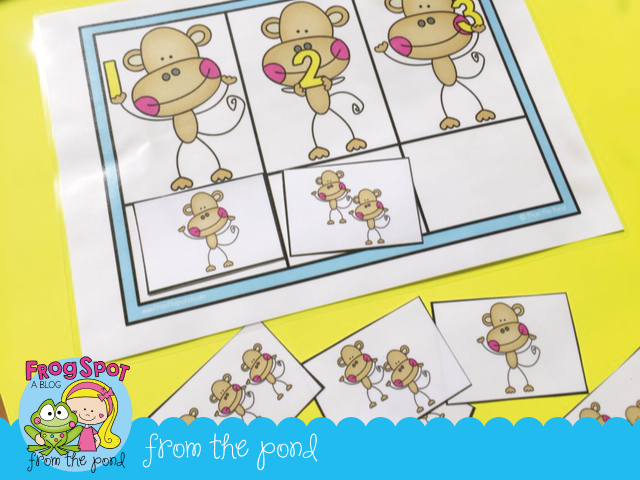 My 'clip it kids' are in the second bundle of the series and work towards students having an understanding of numbers 0-6. I spent more time this week, prepping and laminating. Is there ever a week where we don't? 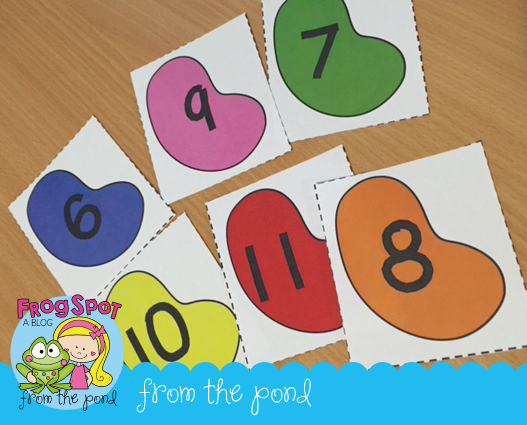 I combined my love of sweets and number games with the super-cute packet from Alison at Teaching Maths with Meaning. 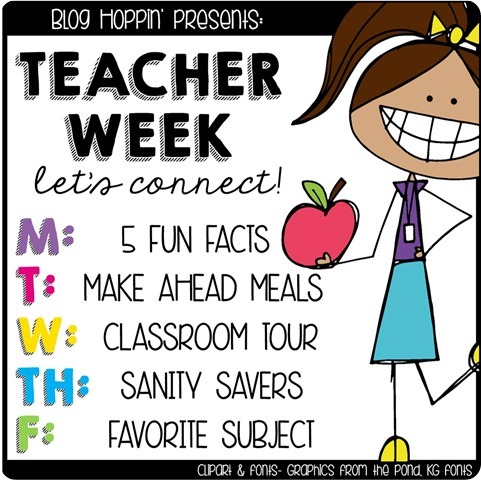 The Blog Hoppin' girls have organized a fun-filled TEACHER WEEK! Here is a snapshot of what is happening, so you can get prepared for a week of blog link-ups! Thank you so much for stopping by my blog today, have a wonderful weekend! 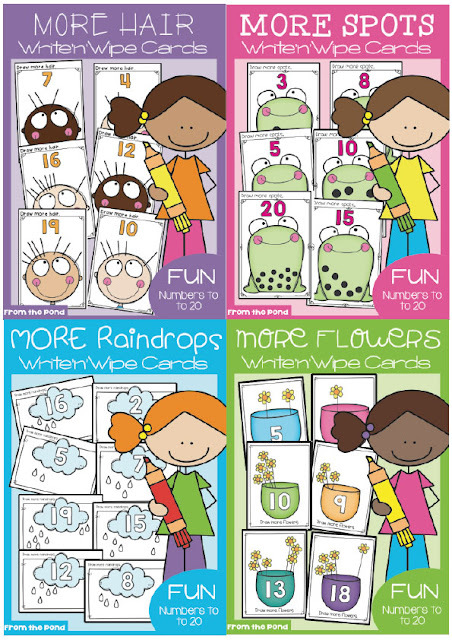 Hi was very excited to add some more fun "write'n'wipe" activity cards to my TpT store today. 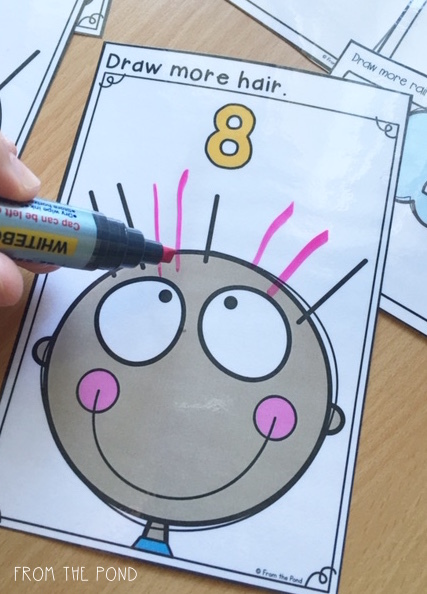 My students have always loved dry erase marker activities - besides the novelty of using a marker, they appeal to a child's need for immediacy. From a pedagogy point of view, I like them as a bridge between concrete and abstract. 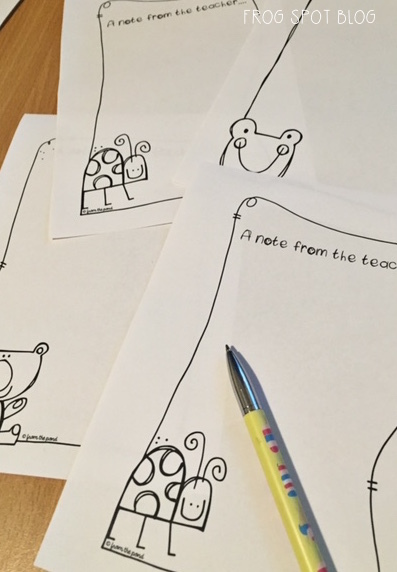 If 'write and wipe' is not your style, you could always use such cards as 'task cards' and simply have your students use them as a visual prompt for writing their answer on a recording sheet. If you have been to my store, you will know about my love for them! I bundled my four new editions, which all focus on students 'adding more' to a set to make a particular quantity. 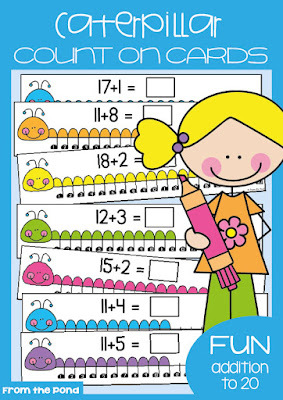 Essentially, your students are working on early addition skills through counting and adding more. The focus I would have in mind however, is early counting and number skills. As each card is completed, you will notice students counting and re-counting several times to check their work and understanding. 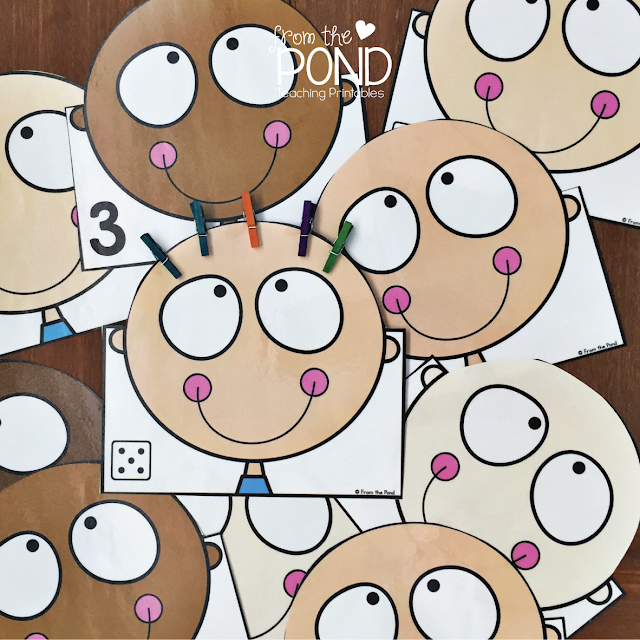 This continued and repetitive counting all helps to develop a strong beginning in number. For more formal addition lessons, I have also listed "Caterpillar Count On Cards" that will assist in using a number line to solve addition. Thanks so much for stopping my friends, have a terrific Tuesday! I have very slow internet. You may have heard me whinge before. Grass grows faster than my internet. Brett looked up some sort of super high tech website that gives you the speed of uploads and downloads and all that bom-diggity. Ours is **supposed** to be at 12. And 12 is slow, according to my in-the-know hubby. That is a decimal point in there, between the one and the two. Apparently Australia has slower internet than a country called Kazbecisslowtinternetkahstan. I'm not usually into numbers, but this - I believe. I cried. Muchly. And then drew some scrappy notepaper. I did these while I was waiting for a my Pinterest page to load. And that was about an hour ago. It is now midnight. Actually, 1am. THAT is how slow my internet is. 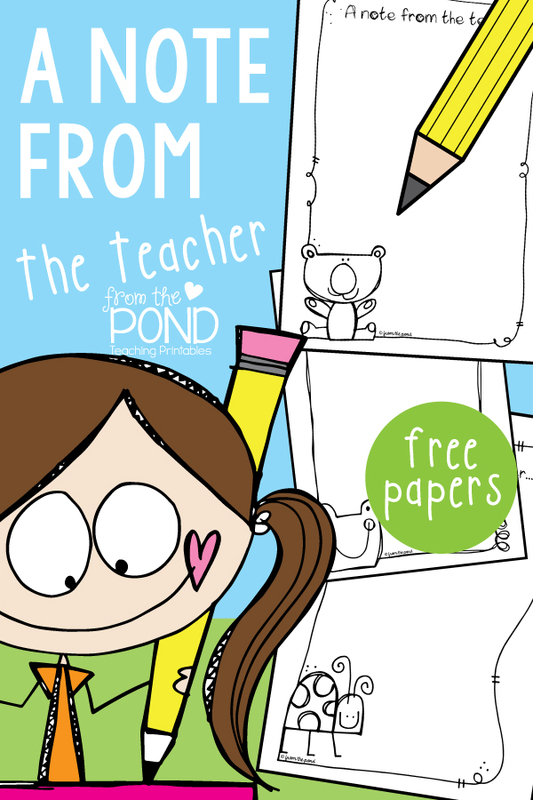 I would love you to have my printable notepaper to use from your teacher desk! How many notes do you write? I write a gajillion. Always looking for paper, I am. 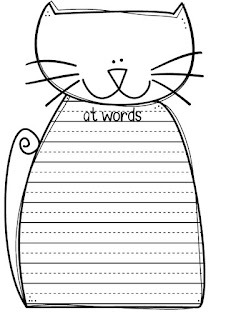 Well it you are like me, then just print THESE out and you will have lovely scrappy little notes - for writing things. The old fashioned way - with a pen. At least I don't have to wait ten minutes for a pen to load. Have a wonderful day my friends. And if you are blessed with fast internet, enjoy it even more! And a flash freebie? Well, you are in the right place! 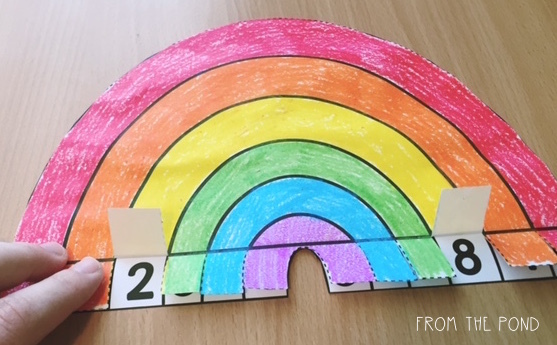 I created this simple rainbow craftivity a few years ago to help a few little learners get a solid understanding of the number combinations that total ten. I found that this craft worked better than any other strategy I have ever used for 'friends of ten'. When students have the ability to physically lift the flaps to reveal two numbers, they seem to make a more firm connection with the fact that the two numbers are linked/joined and that as one increases by one, the other decreases. To be able to be 'active' with this, and not just look at a poster or have an adult explain it in big long chains of just-too-many-words - well - makes an amazing difference! I bundled up this craftivity with some other fun activities for consolidating these little number combinations. Trust me, our lovelies need LOADS of repetition with these numbers. The more ways you can find to get them thinking and accessing these numbers, the better! 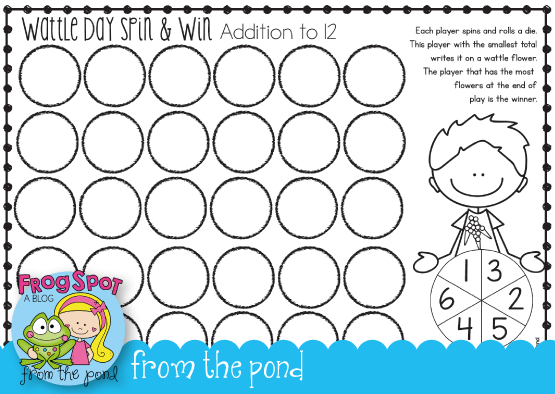 This bundle will give you 5 fun games to play with your small groups! This one is called 'How man more make 10?' 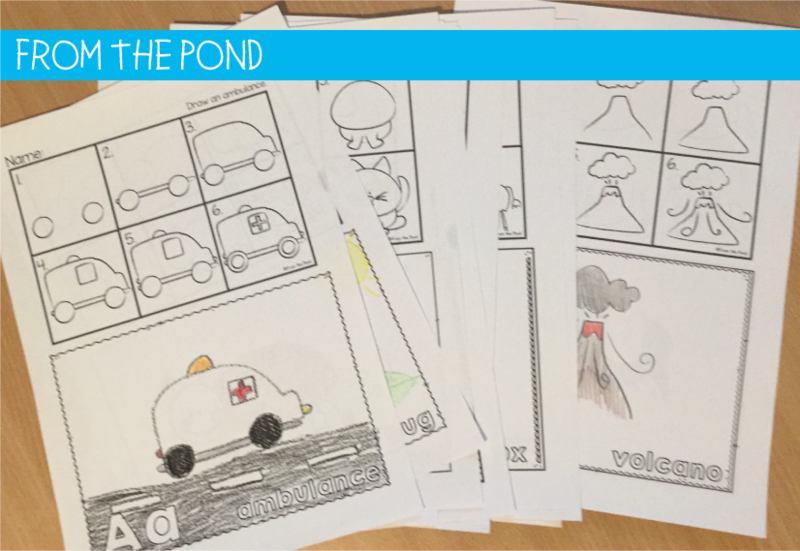 and will get your students thinking in 'ten frames' as well! Bonus! 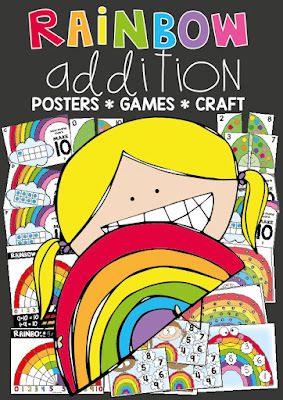 'Make 10 Rainbow' is a fun one to play with numeral cards or a ten sided die if you have one. 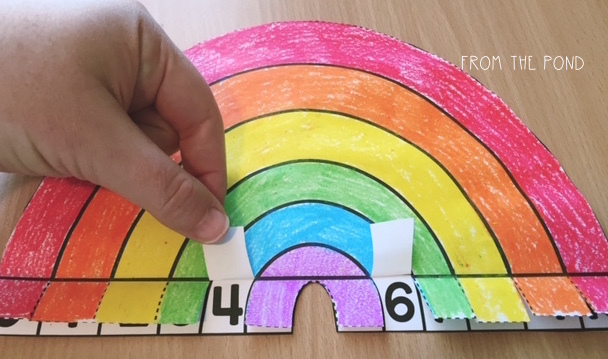 'Rainbow Race' uses a spinner and students see how many numbers they can cover on the game board. I made some custom scrappy kids for 'Rainbow Ten'. My dear friend Alison from Teaching Maths With Meaning asked me a few weeks back why I didn't make images for my own teaching resources more often. And I really didn't have a very good answer for that. I just love that bloggy friends can help get us thinking about things differently and encourage us to be better! Thank you Alison, you are my inspiration for this bundle! 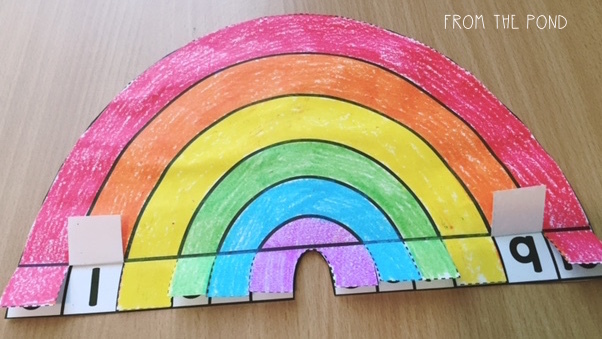 Rainbow Turtle is a fun game where students will match two sides of the turtle to show ten. As always, I would highly suggest prepping these games and storing them in lightweight clear plastic document folders. I have included a cover page for each game, so if you put this at the front, you can quickly identify the game and activity focus. 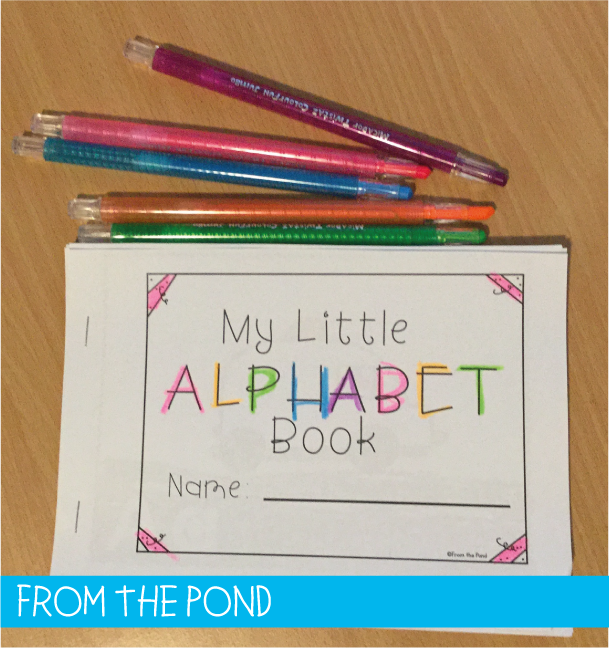 This bundle is 50% off at the moment, so head over to TpT if you would like to take a closer look! 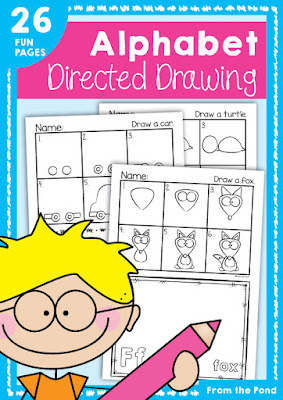 Today, I have flash freebie in my TpT store that will accompany these activities perfectly. 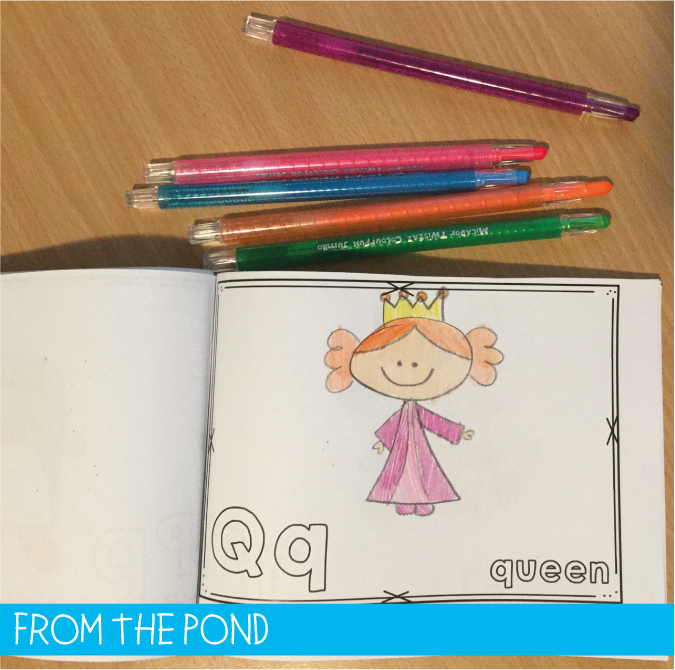 It is another Print and Play game - also focussing on - you guessed it - addition combinations to ten. With a rainbow theme. 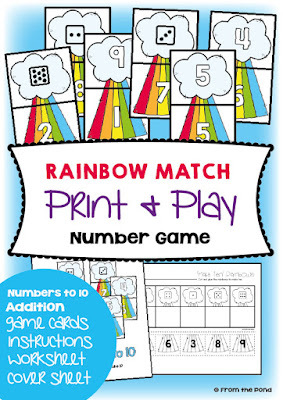 Students will match up clouds and rainbows to make ten! Well, there you have it! I hope you are having a wonderful beginning to your week. I really appreciate that you have stopped by. Five for Friday time my friends! A time when it is perfect to be random! I take my 3 year old son to a fun little play group each week and his favourite activity is the sandpit. That little patch of sun in the corner. That is my spot. For a change, I thought about school a bit this week. Hope you can hear the sarcasm there. It is has actually been on my mind for a large part of my life. Perhaps you are similar to me, in that, at times you wonder if you have been 'at school' too long. You know, it has become such an integral part of who you are... and you wonder who you would be without it. So many thoughts. About school. It can start to become more complicated than it needs to be, the more you think. I have been listening to teachers on Periscope the last few weeks (love). One scope touched on workplace bullying in schools. You know, the elephant in the room. The thing we know happens, but can't talk about. One thing for sure that has blessed my life is this 'blogging world' - TpT - Facebook teacher groups, Periscope and the like. Pathetic little snarky bullies no longer worry me. They actually amuse me. I laugh internally as I juxtapose their feeble attempts at catty nastiness to the enormous energy of the positive, supportive powerful online teacher community. I urge you to read my friend Jennifer's post - Finding Your Marigold and to also connect with the online teaching community if you struggle in your own workplace. Believe that goodness and truth will always outshine and prosper. Always. Keep it simple. Some people are wonderful, supportive, positive, energetic, passionate colleagues. And some are not. I did a 10km walk by the lake for charity with my daughter's school this week. A more perfect day could not have been wished for. Gorgeous. Spring is almost here. We saw a live production of Mary Poppins today. It was supercalafragalisticexpialadoshus. 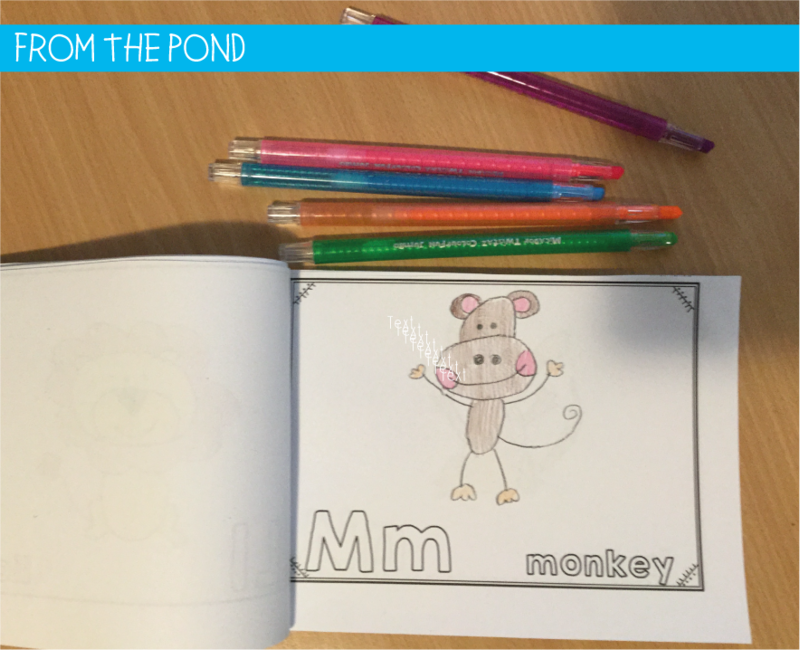 Head over to the lovely Kacey's blog for more Friday randomness! Mine has featured 23 students tearing paper (and I mean LOTS of paper) to create penguin artworks. That is all I want to say about it at this stage. When my heart rate comes down, I will post a few pictures over on my art/class blog. I wanted to stop by quickly to share this little freebie with you. 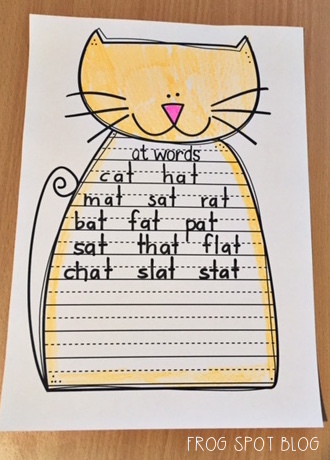 Your students can brainstorm and record some 'at' words on the cat! 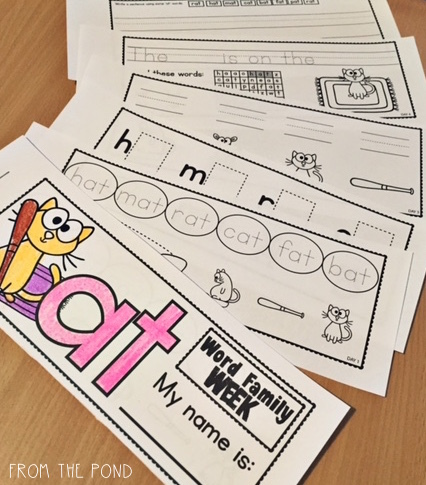 I also have a printable 'Word Family Week' booklet to focus on the 'at' word family. Click on the image below to find it over in my TpT store. Have a wonderful Wednesday, and my only other advice is to think very carefully before deciding that 'paper tearing' would be a fun way to finish a school day - he he he. 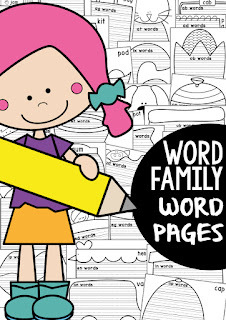 By request, Ive made a whole bunch of word family word pages to go along with the cat 'at' page! 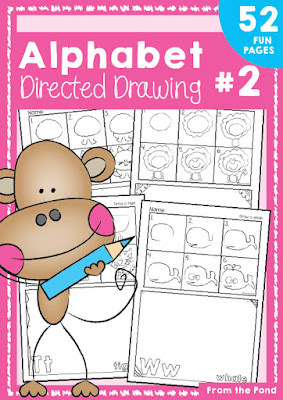 I was excited to put the finishing touches on my 2nd Alphabet Directed Drawing packet yesterday. My daughter was off school today and had a great time drawing. 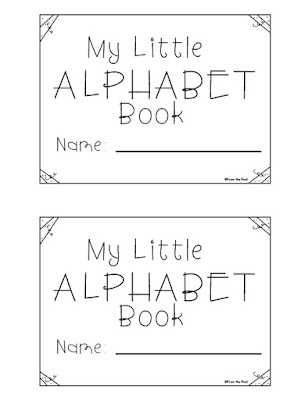 and stapled them together to make a little alphabet picture book. 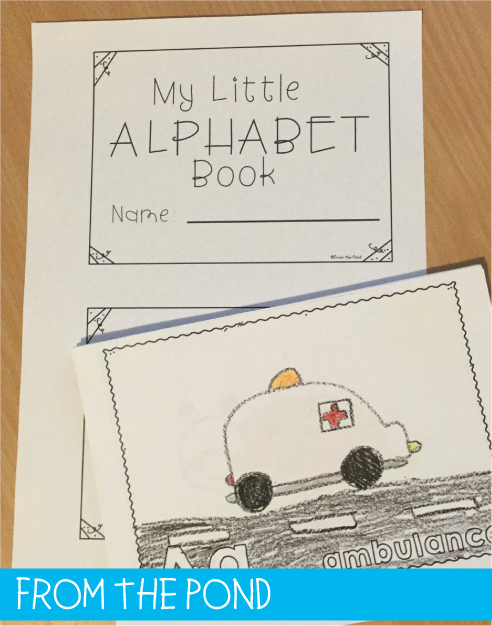 These would be perfect to help teach early reading skills and a nice way for students to treasure their pictures. Have a wonder full my friends!